Home/Bankruptcy/WiIl Your Credit Score Be Seriously Affected By A Bankruptcy Filing in Seattle? 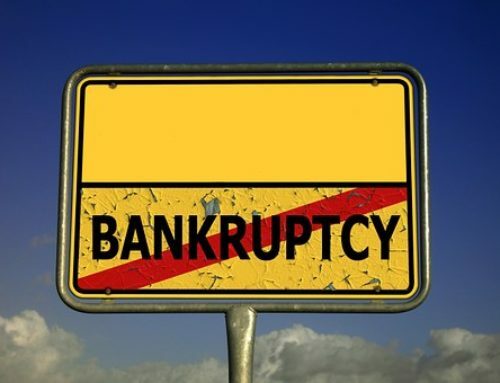 You may be thinking of filing for Chapter 7 or Chapter 13 bankruptcy in Seattle if you are in the midst of a challenging financial situation. But, at the back of your mind, you are thinking of its possible negative impact on your credit score and how a bankruptcy on record can affect your ability to take out loans or get approved for financing in the future. Even if your credit score may be affected by a bankruptcy filing, it is not for the long-term. In fact, there are some circumstances where a bankruptcy filing is actually what will work best in your financial situation. How Big is the Impact of A Bankruptcy Filing in Seattle to My Credit Score? The effect of filing bankruptcy on your credit rating will rely on some variables such as the type of bankruptcy you are filing. Regardless of the type, though, a bankruptcy remains on your credit score for seven to 10 years. As a whole, you can anticipate your credit rating to go down a minimum of 100-200 points after a bankruptcy filing. The particular influence it will carry on your credit rating will depend upon your credit history prior to declaring bankruptcy, along with the length of your credit rating. Nevertheless, as soon as your bankruptcy is filed, there are some ways to begin raising your credit rating instantly. After a bankruptcy discharge, you ought to assess your credit reports for accuracy to guarantee all your discharged debt is reported correctly. If there is a mistake on your record, ensure that you challenge it with the credit bureau to have it corrected. You can likewise raise your rating by maintaining regular payments on secured debts such as house and car settlements. Filing for bankruptcy may give you a chance for a fresh start, and with better and wiser choices, moving forward, you will see an improvement on your credit score. Is a Seattle Bankruptcy Filing the Best Choice for Me? While the temporary adverse effect on your credit report is unquestionably terrifying, the truth stays that for numerous people in dire financial circumstances, declaring bankruptcy is most likely to be the most effective alternative and will, at some point, enhance your credit report as you deal with your financial debt. If you are encountering a financial dilemma that you do not have any hope of overcoming, your credit history is most likely to be a lot more considerably impacted by that than it would be by a bankruptcy filing. Eventually, it is necessary to check out the bigger scope. The objective of filing bankruptcy in Seattle is to aid you in a fresh start; some kinds of bankruptcy can also be used to get rid of some of your financial debts, which will certainly minimize the financial strain on you as you move forward. While it is true that your credit score is likely to be affected in the short-term, if you find that you have something to gain from bankruptcy over time, then it is probably the best option for you. 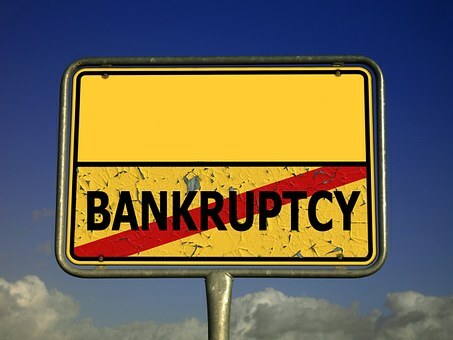 The most effective method to recognize for certain is to speak with an experienced bankruptcy attorney. Our bankruptcy attorneys at Northwest Debt Relief Law Firm (NWDRLF) may assess your current financial situation and may advise you on the best option that may work for you. Can My Credit Score Still Improve After Bankruptcy? Do I Need to Work With a Seattle Bankruptcy Attorney? Yes! Who wants to be drowning in debt? Nobody wants to wallow in the unmanageable financial crisis. However, it is not entirely unavoidable. Life happens and sometimes, the cards you are dealt with may take a toll on your finances. When it does, it is important to look beyond the short-term effects of bankruptcy on your credit score and appreciate the long-term benefits it may have to regain your financial freedom. Consulting an experienced Seattle bankruptcy attorney is one of the crucial first steps when considering filing for bankruptcy. You may be better guided and assisted throughout the whole process if you have a trusted bankruptcy attorney by your side. Call us Looking for more assistance in filing for bankruptcy or determining whether it’s right for you? An experienced bankruptcy lawyer can provide all the guidance and help you’ll need through the entire process. Call our bankruptcy attorneys at Northwest Debt Relief Law Firm (NWDRLF) for a free initial assessment of your case.